Showing 35 articles from August 30, 2017. LOUISBURG -- Franklin County staff will release Duke Lifepoint's proposal to operate a new hospital in Franklin County today. In a few weeks, residents will get a chance to tell commissioners whether the proposal is good enough. Franklin County commissioners met in closed session during a special-called meeting on Aug. 25 to review Duke Lifepoint's lease and asset purchase agreement -- documents that have been in the works since October; when officials agreed to negotiate with Duke Lifepoint to bring a hospital back to the Novant-vacated facility in Louisburg. CONGRATULATIONS. 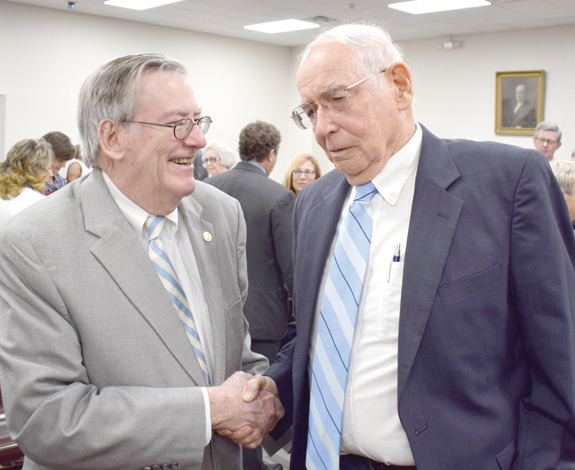 John B. McMillan, (left), for whom the award is named, congratulates veteran Louisburg attorney Charles Davis. LOUISBURG -- During his more than 50 years of practicing law, Charles Davis has stood in front of judges, juries, plaintiffs and defendants. 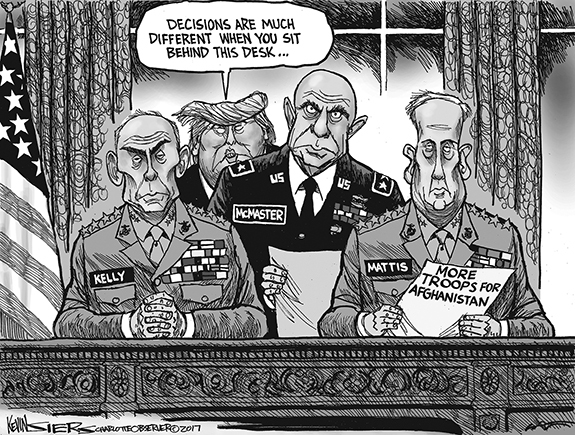 Being an officer of the court, he's not been the center of attention. But that changed last week when he was presented with the John B. McMillan Distinguished Service award, which honors attorneys who have demonstrated exemplary service to the legal profession. 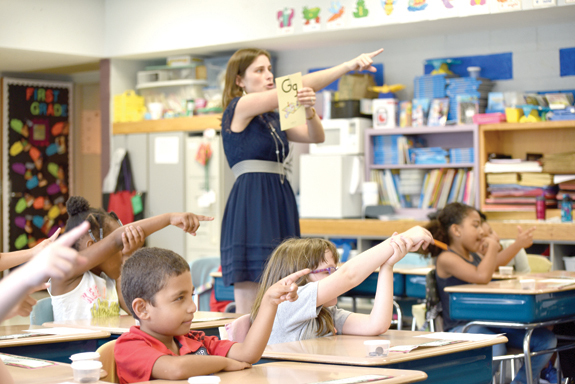 Franklin County Schools is taking steps to ensure its youngest students receive the building blocks they need to become successful readers through a program called Wilson's Fundations. Fundations is a structured language program which gives teachers all the tools they need to teach reading, spelling and handwriting in a way that resonates with students. PILOT -- A Franklin County man is set to appear in court next month on charges that he shot his father in the head, the first of two shootings in the Pilot area during a three-day span. 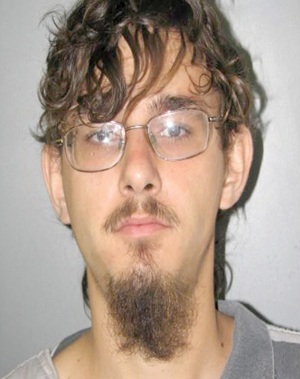 Investigators arrested Adam Helms shortly after they allege he shot Loyd Helms in the head during an argument the evening of Aug. 25 as the two were riding in a vehicle on Williams Road. Gee, never saw that one coming! Usually when a reporter covers a government body for a long time, things get predictable. In fact, Carey Johnson and I often joke that we could write stories without going to the meetings. 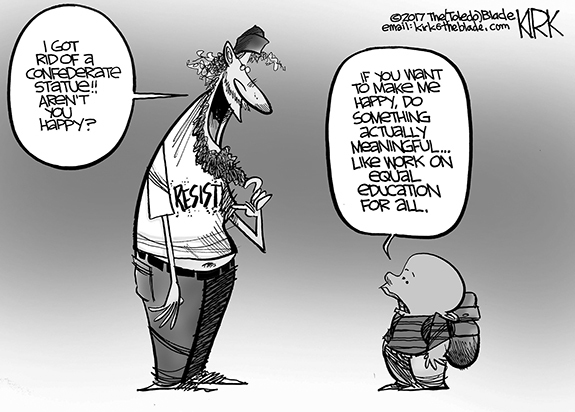 Just give us an agenda and we'd crank out a story. However, we make every effort to go because ... well, anything can happen! Summer (unofficially) came to an end this week when students on the traditional school calendar returned, reluctantly, to the classroom. High school football season is well underway and there are some distinctive signs of fall appearing, although we've still got an official three weeks or so of summer left. And, sometimes, neither are apologies. Explanations don't often help, because there are no excuses. 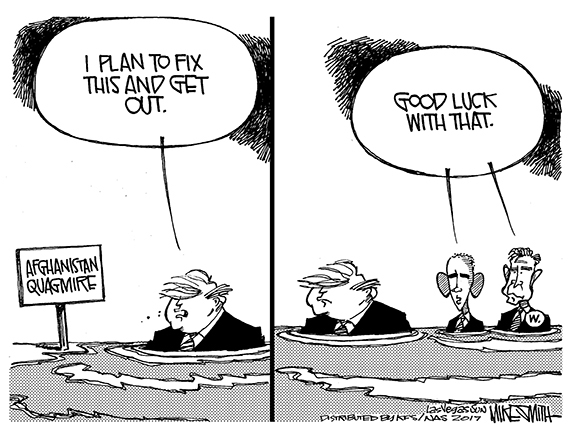 I simply, unequivocally screwed up. Dear editor: I am writing this letter in response to the letter suggesting the removal of the Confederate Monument on North Main Street. I am against any removal or alteration of the monument, but I would think the proper approach would be to ask the opinion of residents of Franklin County who had ancestors who fought and/or lost their lives in this terrible conflict. I've been forced to give thought to the issue of Confederate statues in public places. I don't like glorifying war in any shape or form -- Confederate flags, statues and reenactments are at best distasteful to me. You can say what you want to, but we know what they stand for -- an attempt to lift up war as noble and righteous when in fact the Civil War was about greed and power -- that was what slavery was about -- greed and power. I have been asked what the Republican Party's position is on the destruction of monuments and statues that has become a quest for some groups of late. I cannot speak for the Republican National Committee or the North Carolina Republican Party, though I would anticipate that their respective positions would not differ from mine. LOUISBURG--Darrell Wayne Wyrick, 76, of Louisburg departed this earthly life on Saturday, August 26, 2017 at his home. Born on March 2, 1941 to the late Roy and Thelma White Wyrick. Retiring from Ford Motor Company, Darrell was a great photographer and an avid fisherman. Linda Faye Conn Privette, of Franklin County, entered into her eternal rest on Monday, August 28, 2017. KENDALL'S QUEST. Franklinton High School's Kendall Harris picks up yardage during last Friday night's home victory against county rival Bunn. 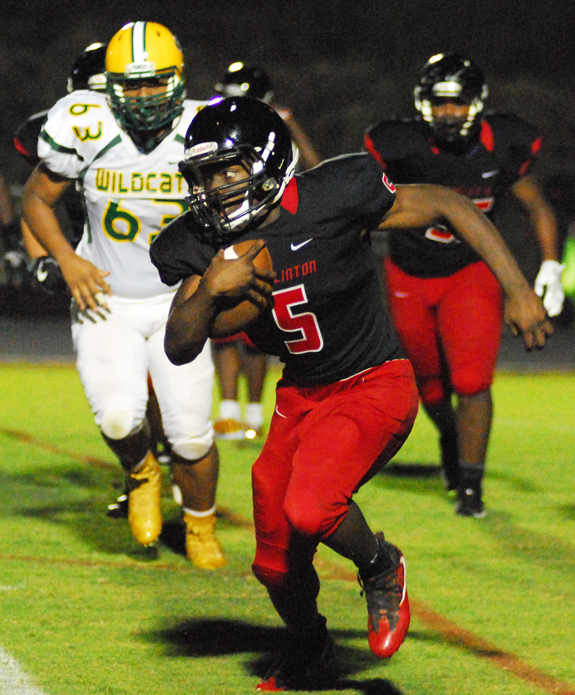 FRANKLINTON - Franklinton's mission was twofold heading into last Friday's now-non conference gridiron meeting with long-time rival Bunn. LOUISBURG -- Little did they know it at the time, but the Louisburg Warriors ultimately sealed their fate in last Friday's home football meeting with the North Wake Homeschool Saints in the first few minutes of the opening quarter. MCCOY IN THE MIDDLE. 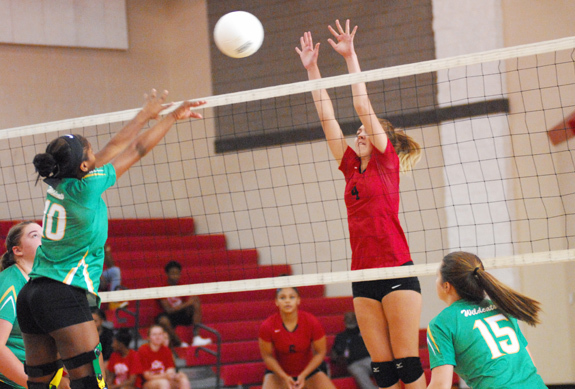 Franklinton's Darcy McCoy (right) tries to block a push attempt from Bunn's Butterball Cooke during last Wednesday's match. 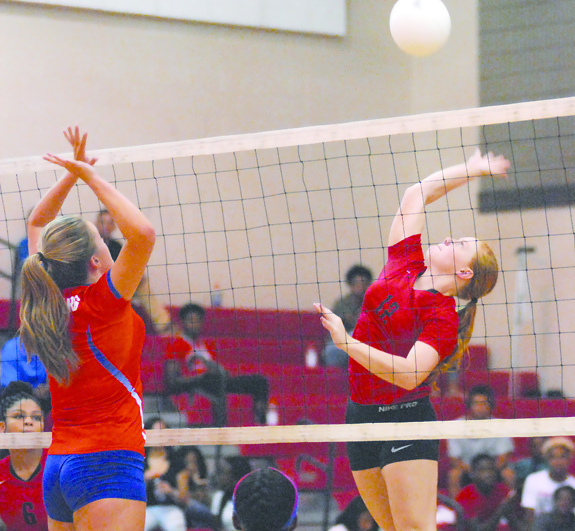 FRANKLINTON -- Franklinton and Bunn are no longer league opponents, but that probably won't dampen the burgeoning rivalry the schools have undertaken over the past several years on the volleyball court. FHS is now in the Class 3-A Big East Conference, while Bunn has remained in the Class 2-A Northern Carolina Conference -- the Lady Rams' former league. So the teams were meeting a bit earlier than usual in the campaign last Wednesday, but action was still spirited and intense. FRANKLINTON -- Following an amazing 2016 season, the Louisburg Lady Warriors are picking up right where they left off on the volleyball court. LHS dropped only one match last fall, and that was in the state championship contest. Hungry and back for more, the Lady Warriors are off to an unblemished start this time around through seven matches. COLLISION COURSE. 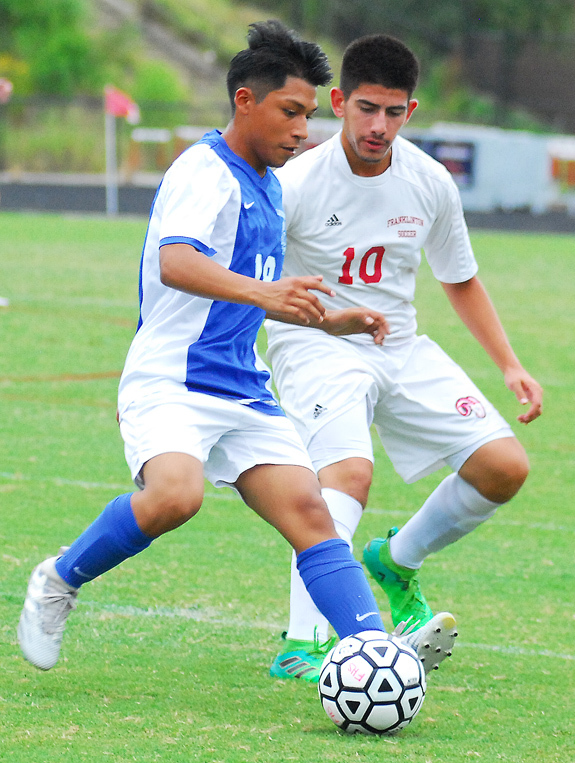 LHS' David Eaves (left) tries to avoid Franklinton's Richard Cardonas during Monday's match. FRANKLINTON -- Bert Woodburn is back at Franklinton High School, and that's always a good thing. Over the past decade (and even longer), Woodburn has been a constant within the FHS soccer program, mainly as an assistant coach. 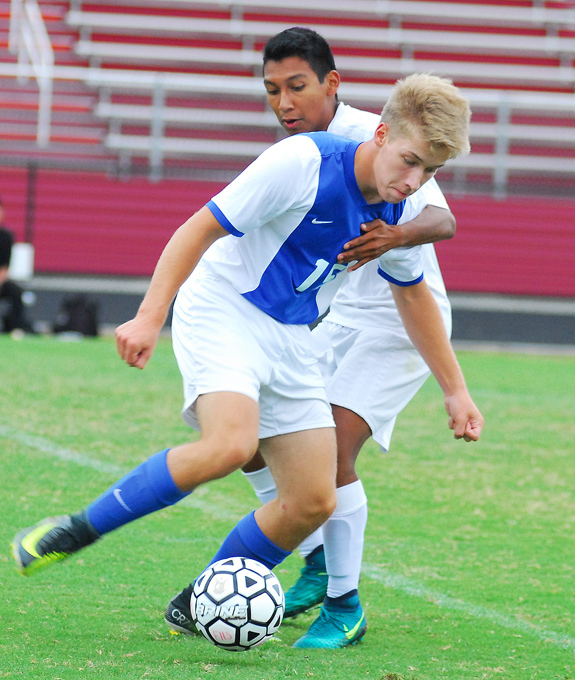 But Woodburn has also served as a head coach at times, and that will be the case this fall as he will be in charge of the tradition-rich Red Rams' boys soccer squad. LYNCHBURG, VA. -- Fresh off an undefeated campaign in 2016, the Louisburg College football team is right back at it this fall. LC opened its season in impressive fashion on Sunday as the Hurricanes roared to a 41-10 triumph at the University of Virginia-Lynchburg. 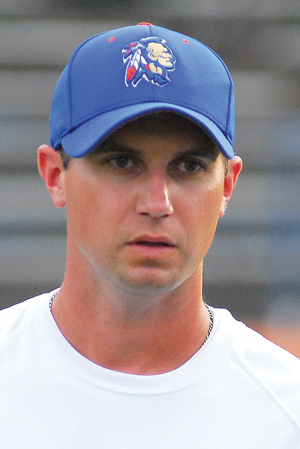 The Hurricanes rolled to a 27-3 advantage at halftime and never looked back under veteran head coach Trevor Highfield. ZEBULON -- Jordan Yamamoto allowed just three hits and struck out seven over seven scoreless innings and Lucas Erceg went 1-for-3 with a two-run home run in the fourth as the Carolina Mudcats defeated the Winston-Salem Dash 2-0 at Five County Stadium on Tuesday night in a Class A Carolina League baseball matchup. The Mudcats (67-65, 31-33) totaled just two hits in the shutout and series-opening victory against the visiting Dash (53-80, 29-34). 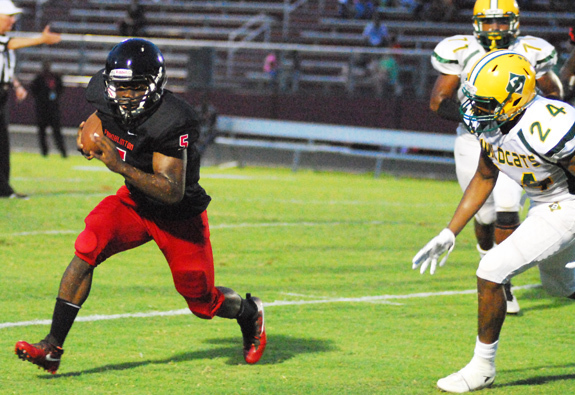 Kendall Harris picks up some quaity yardage for Franklinton during last Friday's decision against Bunn. Louisburg's Abel Contreras (left) dribbles the ball during Monday's contest at Franklinton. 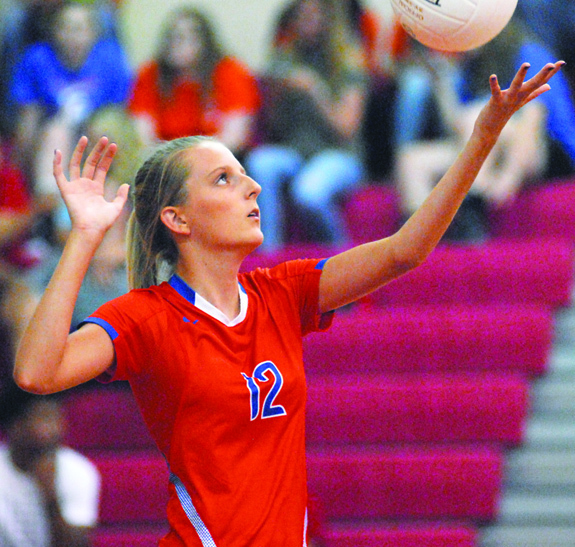 Franklinton High School ninth-grader Shelby Sykora (right) has earned some valuable early-season playing time at middle hitter for the Lady Rams' volleyball squad. 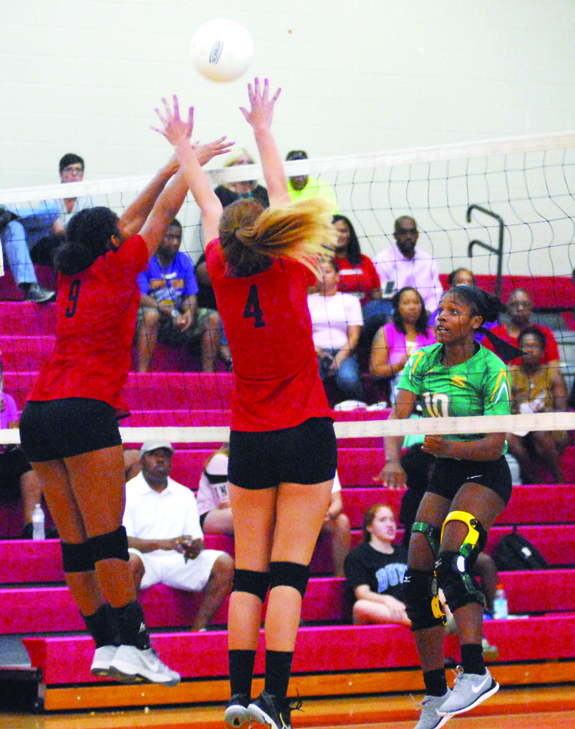 Franklinton's (l to r) Jericka Brodie and Darcy McCoy attempt to block Bunn's Butterball Cooke (right). LOUISBURG -- A Louisburg native is set to host a book signing for her first cookbook. Jamie DeMent will be at the home of Dr. Phil Stover and Judy Stover on Sept. 10, to sign "The Farmhouse Chef: Recipes & Stories from My Carolina Farm." The event will feature a book signing, recipe samples and drinks. The event will take place from 2-4 p.m. The stabilization of the exterior of the old Franklin County jail on East Nash Street in Louisburg, begun in July 2016 by the Tar River Center for History and Culture Foundation, is well underway. Plans are to finish the project by the end of December. Constructed in 1874-1875 and heavily renovated in 1924-1925, the old jail housed inmates until 1975, when a new detention facility was completed on Market Street. GOLDEN ANNIVERSARY. Freddy and Ann Wheeler of Franklinton will observe their 50th Wedding Anniversary on Friday, Sept. 1, 2017. 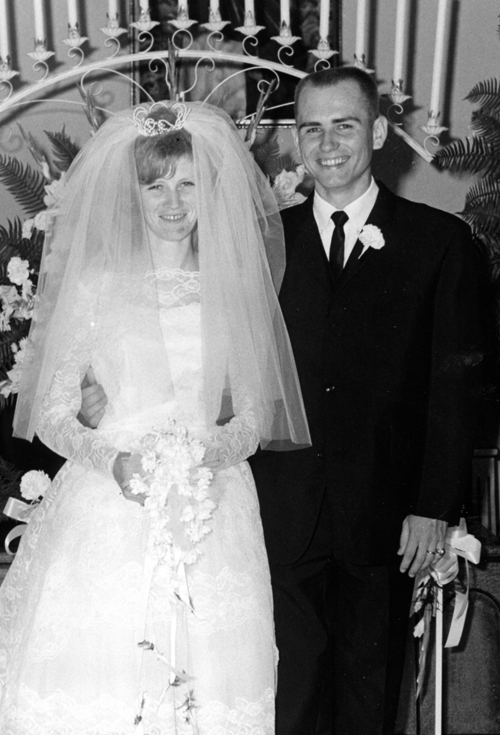 They were married on Sept. 1, 1967. 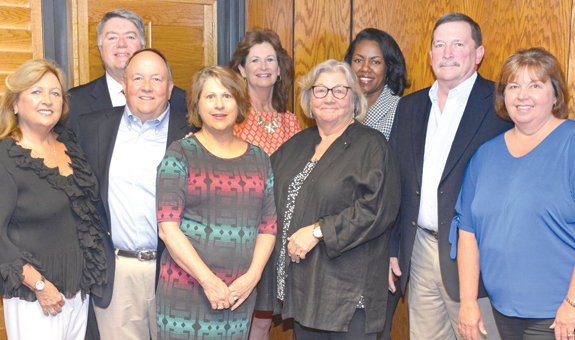 HENDERSON -- A new Vance-Granville Community College scholarship has been endowed in memory of Robert and Elizabeth Williford by their children. 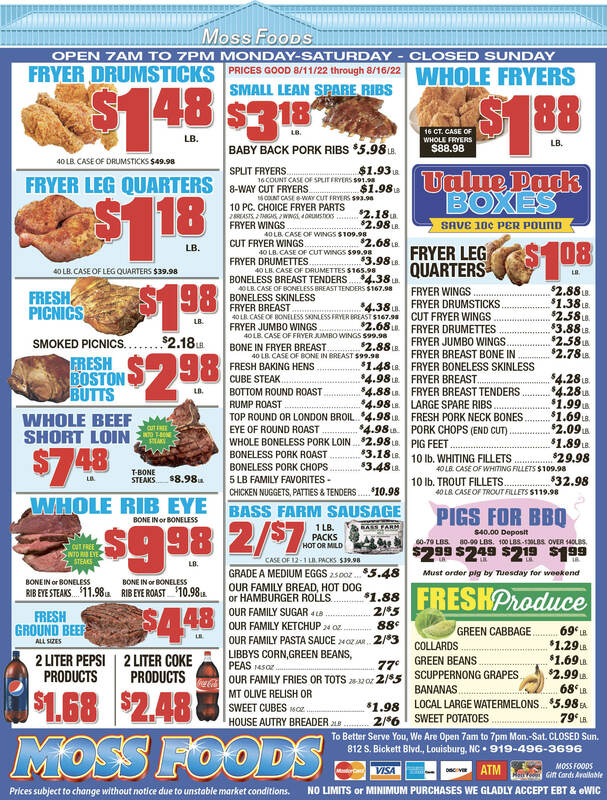 The Willifords were well-known as the longtime owners and operators of the Oxford Ace Hardware store. Their four children, Elizabeth Dale Williford of Indian Beach/Salter Path, Rob Williford II of Oxford, Dot Williford Wilson of Chapel Hill and John Williford of Oxford, along with Rob's wife, Lori, and John's wife, Teresa, recently gathered at VGCC to celebrate the creation of the new scholarship. This year's freshman class at Louisburg High School includes the first ever STEM Academy students. The 25 ninth graders make up the inaugural class as Louisburg grows its STEM offerings through a special academy. STEM is an acronym for science, technology, engineering and math. Students receive the same quality instruction as other high school students, but their course work will integrate STEM concepts along the way, say school officials. A story published in the Aug. 24 edition of The Franklin Times incorrectly reported that it was Steven Claiborne who crossed the center line in a fatal wreck. Steven Page was attempting to pass a vehicle on N.C. 561 when he collided head-on with a vehicle driven by Claiborne the morning of Aug. 22. Claiborne, 27, died at the scene. FRANKLINTON -- Town staff is seeking a hired gun to help revamp its zoning regulations in light of a recent scare over a gun range application. Earlier this year, commissioners denied an applicant's request to operate an outdoor gun range on an 88.5 acre site north and west of town. The applicants, though, argued that the town's decision was in error. Furthermore, they argued that a gun range should be a use by right and threatened legal action. LOUISBURG -- Investigators are warning Franklin County residents to be wary of a telephone scam targeting seniors. The Franklin County Health Department has learned that over the past few weeks, several calls have been placed to area seniors which appear to be coming from the Franklin County Health Department's Home Health Agency.